I was supposed to post this on Monday you know for CYBER MONDAY! But life got in the way and we had to go to the doctor and this post never went up. 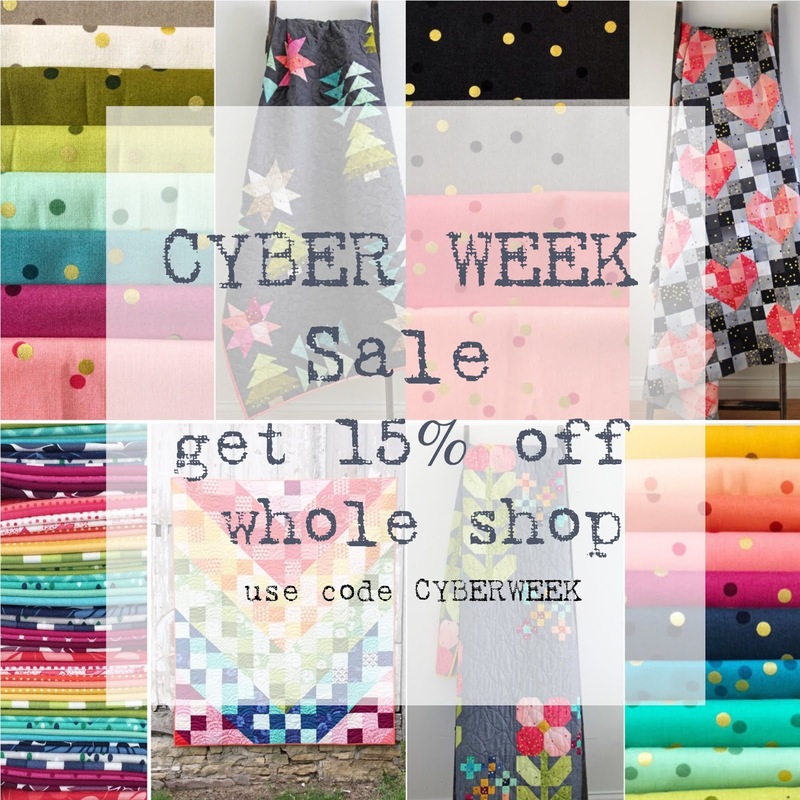 SO, you guys win because instead of just Cyber Monday, we are doing CYBER WEEK when you enter code CYBERWEEK at check out please enjoy 15% off everything in the shop! YES! That includes all fabric bundles!! First we have our RAINBOW BUNDLE! Enjoy an array of OOP (out of print) past V and Co fabrics with some ombre and solids in the mix. 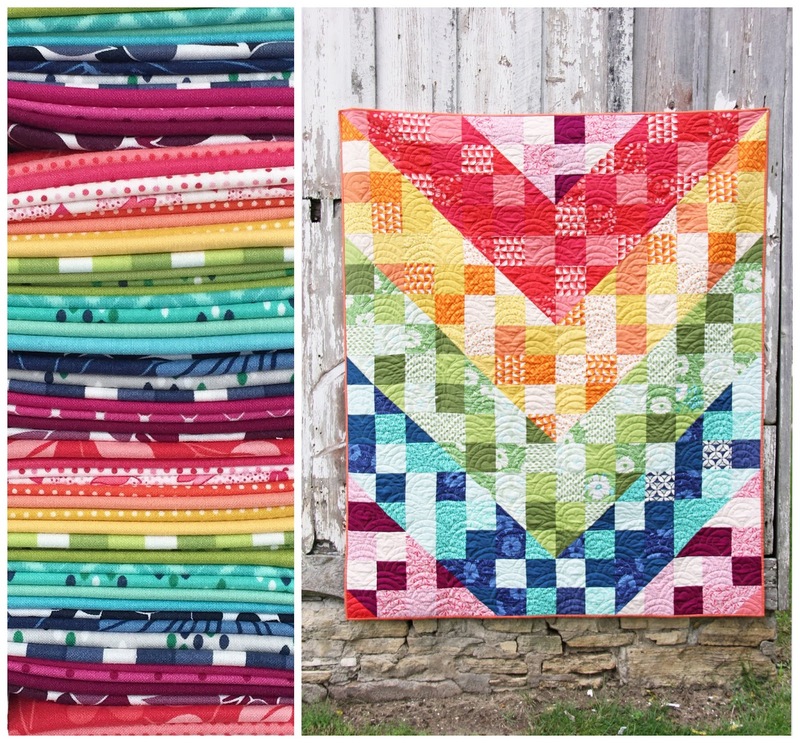 This is a great bundle for projects like Anna Maria Horner's pattern Color Dive quilt (pattern not included in our bundle or in our shop). Or if you want to have the dressed up version we have it also in the ombre confetti version! Purchase ombre fabric bundle with downloadable pdf pattern here. 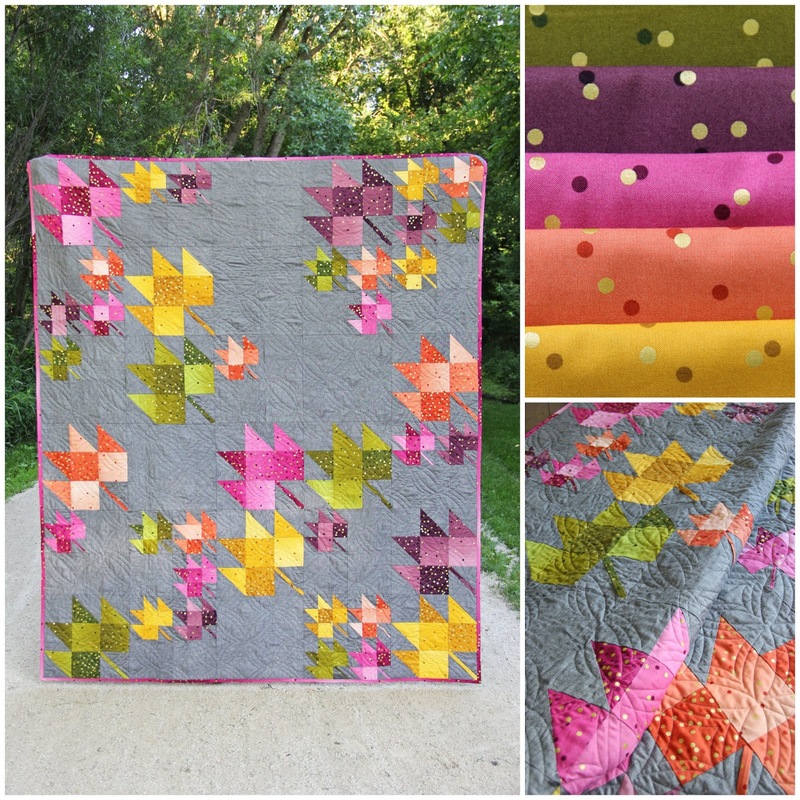 This one is one of our most popular pattern Fall breeze and this bundle will not disappoint! This bundle includes a downloadable pattern, and all ombre needed for quilt top and binding. (background not included). 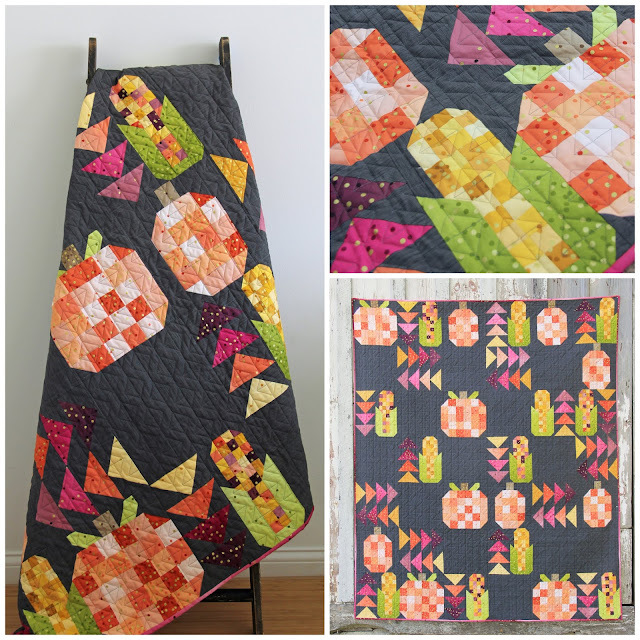 Another great bundle with downloadable pattern that is on sale is this Walk in the Park! Got the winter blues?? 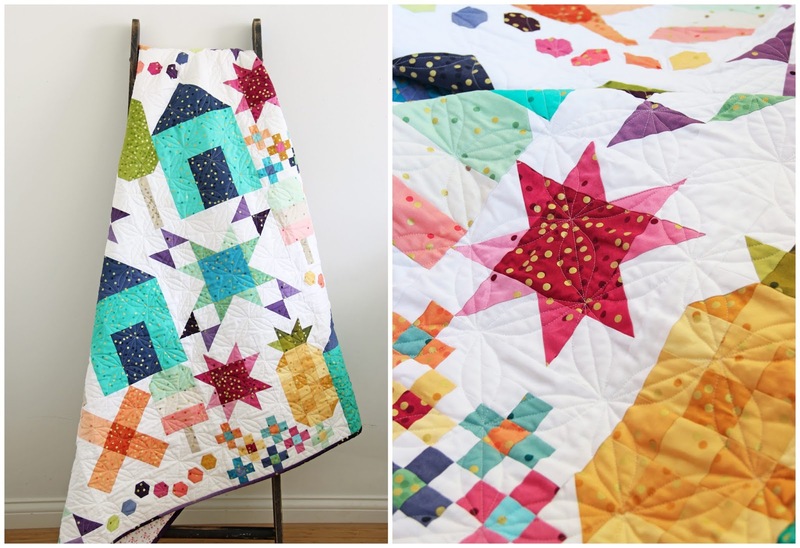 This quilt will surely lift your spirits! This bundle includes all the ombre needed for the quilt top and binding and a downloadable pdf (background not included). 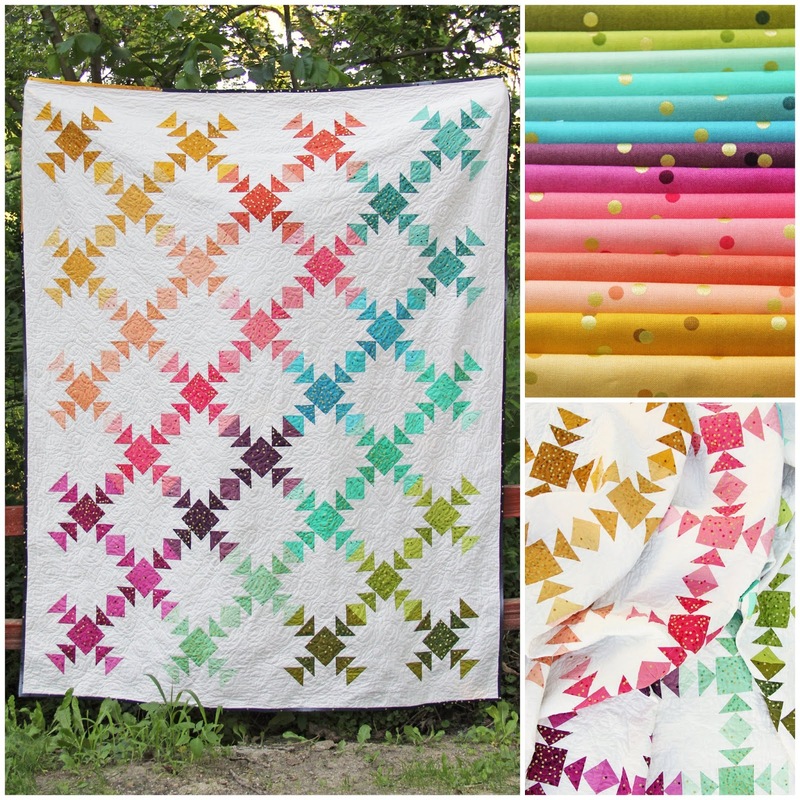 And while we're at it...before we get to spring we do have Valentines day and what better quilt design to show off that beautiful ombre no other than our Heart Strings quilt bundle! 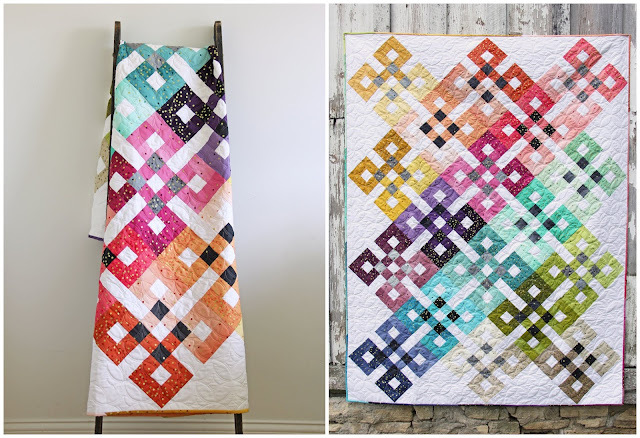 This bundle includes all the ombre to make the quilt top and binding and comes with the downloadable pdf! 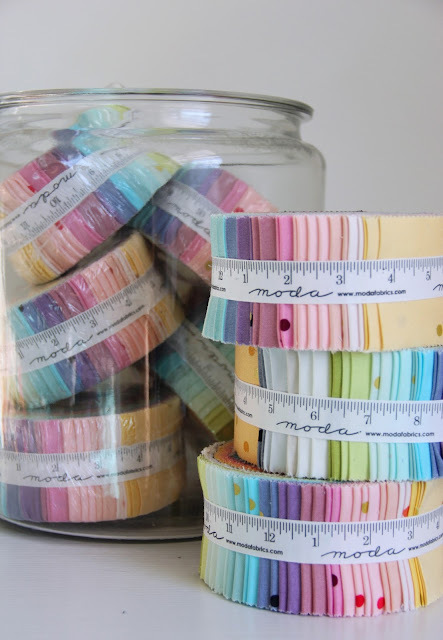 And last one to show off (but not the last one listed in our shop make sure you check out our 6" cuts of our confetti ombre and also our jelly rolls!) 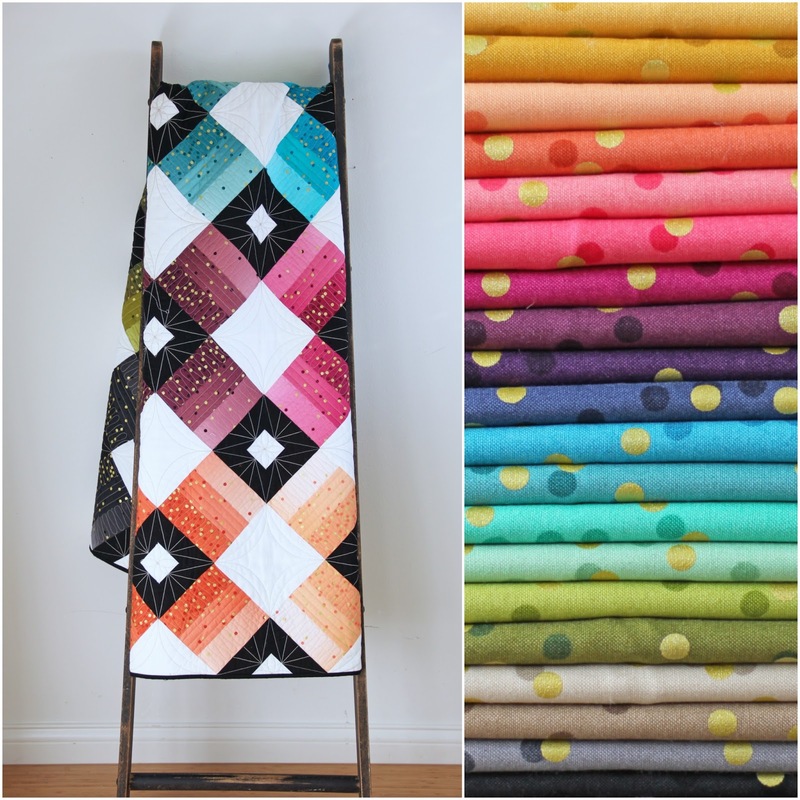 is our most popular ombre bundle which is our Home for the Holidays bundle. 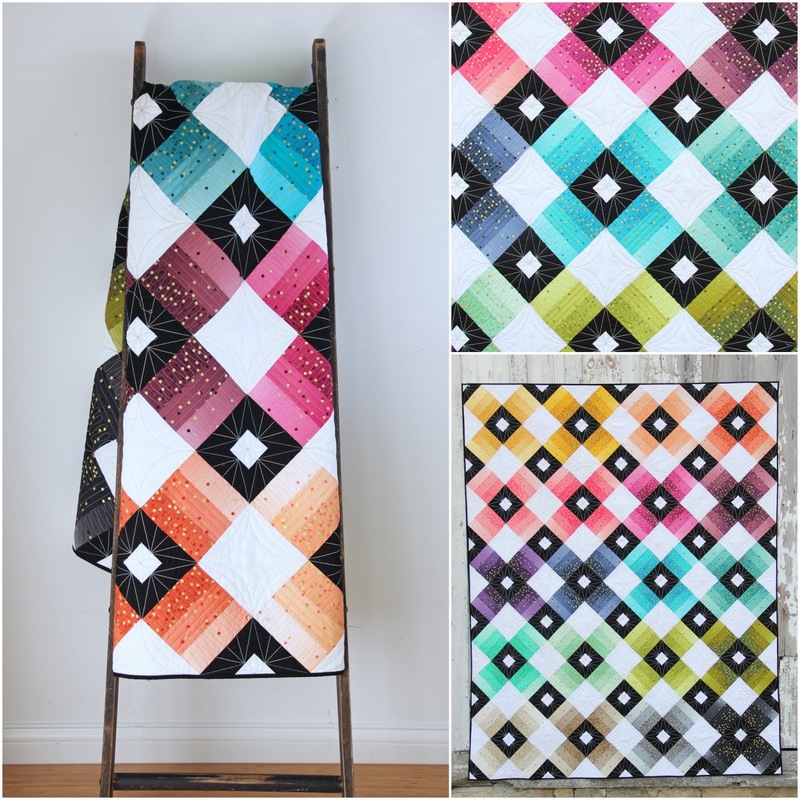 This bundle includes all the ombre needed for quilt top and binding plus the downloadable pdf pattern. (Does not include background fabric). Hi There! Long time no talk! We've been a little busy over here! I graduated from college (yep! In Psychology, no I'm not currently going to work in this field but perhaps eventually I will when the kids all are out of the house. Speaking of which! OUR OLDEST LEFT ON HIS MISSION! Crazy! He's doing great and we hear from him every week through email. 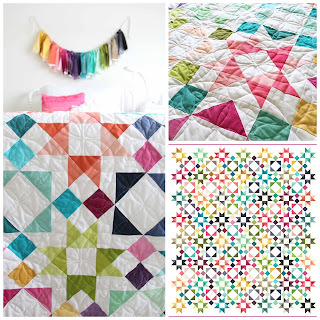 SO LET'S TALK ABOUT FABRIC! You guys are still in love with our V and Co Ombre Confetti. And are buying like a boss at stores and on our site. 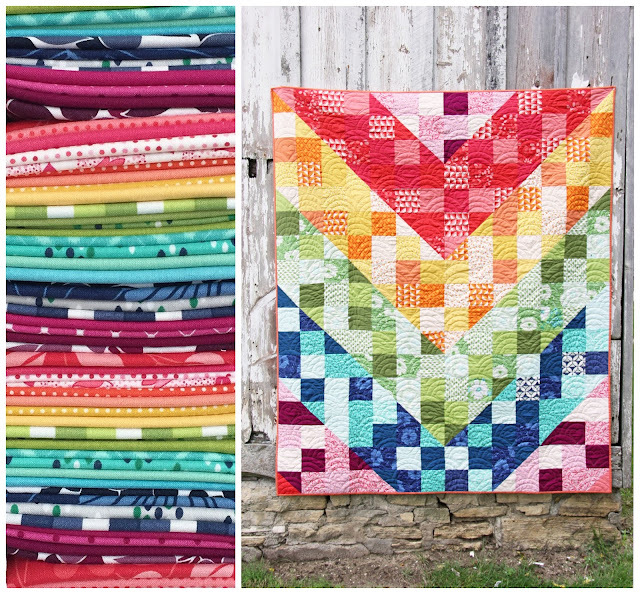 So of course we wanted to make a few more patterns to make those bundles move off your shelves! 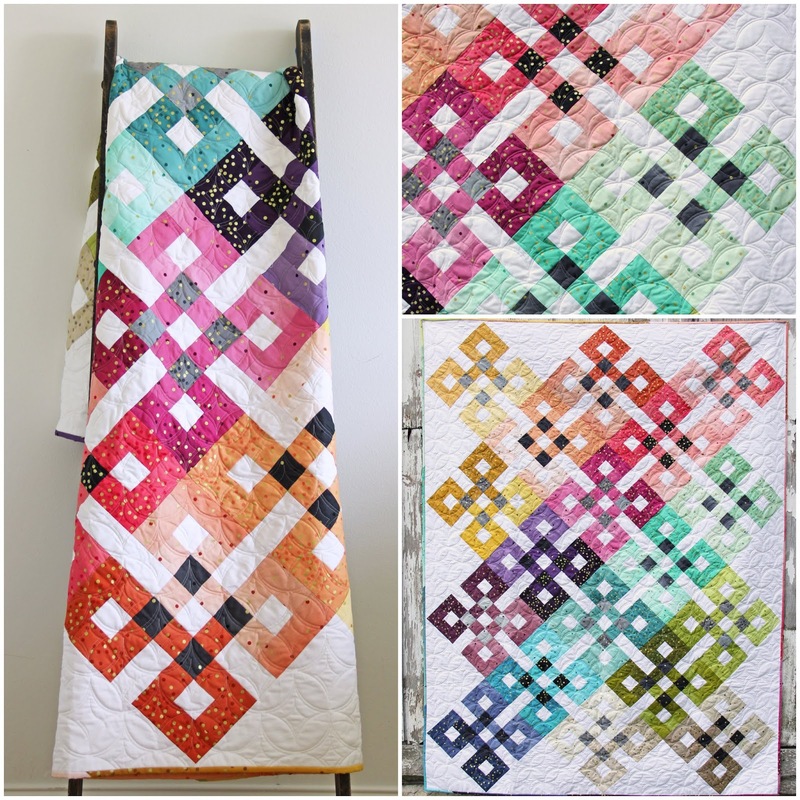 The finished quilts measure at 60" x 80" and this pattern includes step by step instructions with color illustrations, pictures and diagrams. 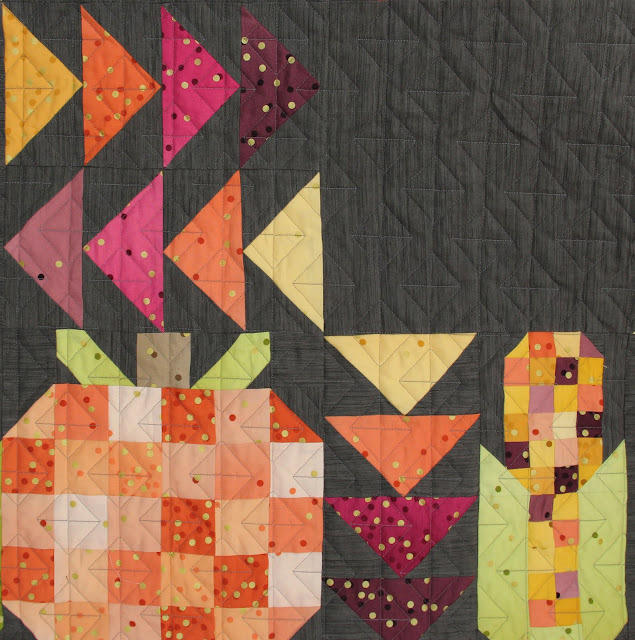 So like seriously...I LIVE IN IOWA so you KNOW I HAD to do a fall quilt that included CORN! This quilt is so fun! And SOOOO Fall. Like seriously. This quilt finishes at 73" x 84" This pattern includes step by step instructions with color illustrations, pictures and diagrams and traditional piecing. 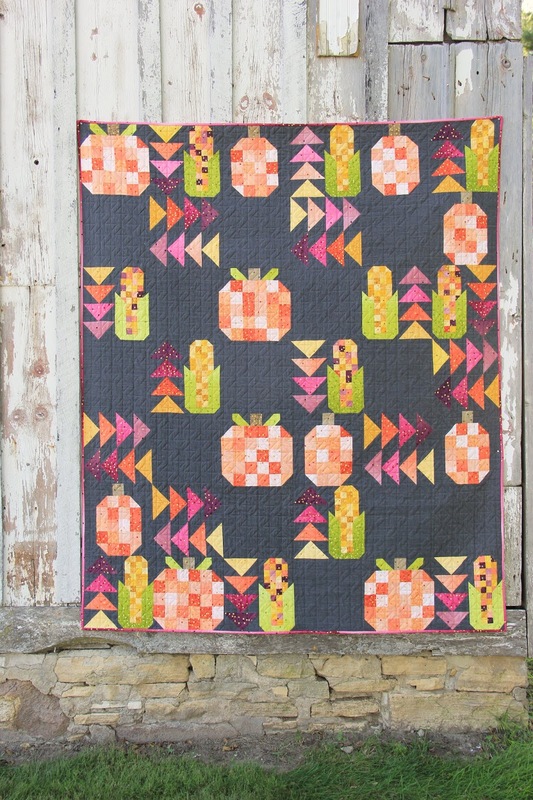 It includes some adorable pumpkins, and harvested chucked corn! So perfect to snuggle under as the temps start to fall! <-- see what I did there? We picked out and used some of our fun fallish colors of our V and Co ombre confetti and just LOOOVE how it turned out! This quilt is JUST SO FUN! Finished at 60" x 75" and a great pattern that includes step by step instructions with color illustrations, pictures and diagrams. Traditional piecing and applique (for the small hexagons) is used in this pattern. 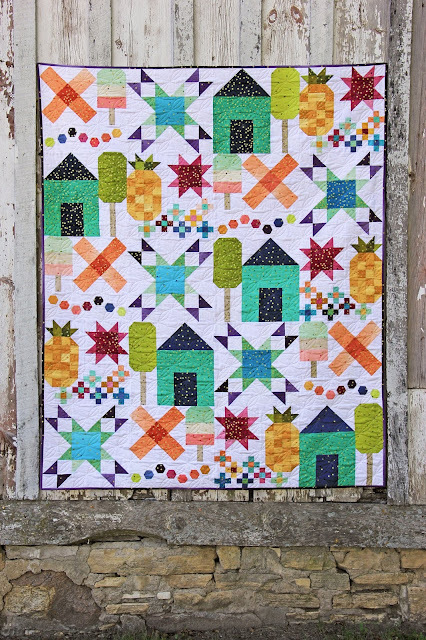 This pattern features, houses, pineapples, stars, popsicles and so many little details that creates a fun whimsical homey feel! 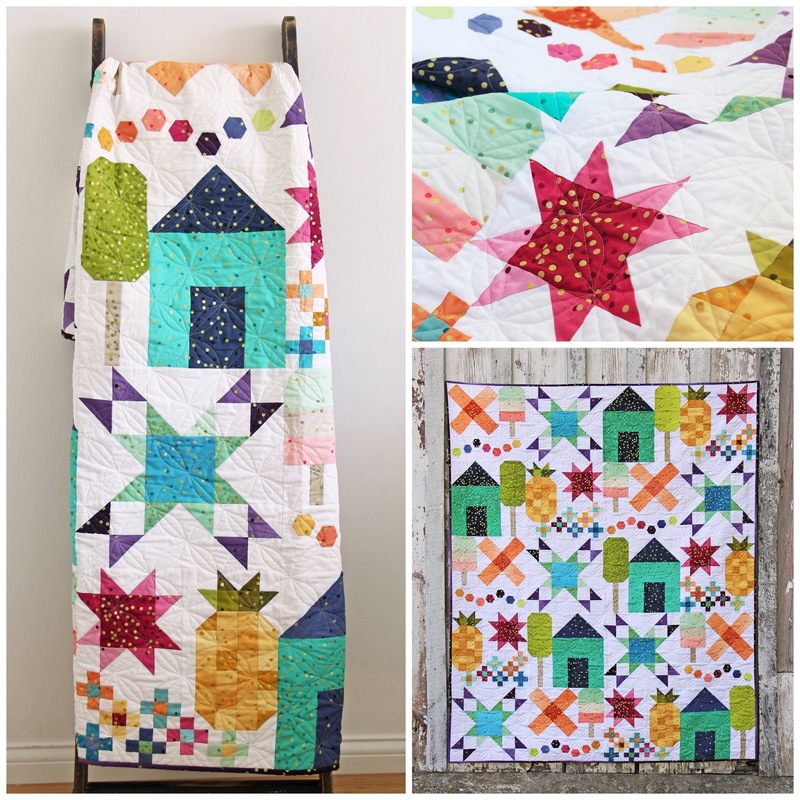 I LOVE THIS QUILT!!!! 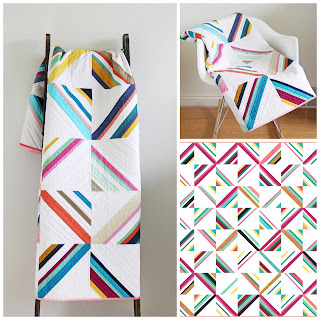 This would be a fun quilt to do in a Quilt Bee or with a fun group of friends! Maybe make it as a block of the month with your girlfriends?? 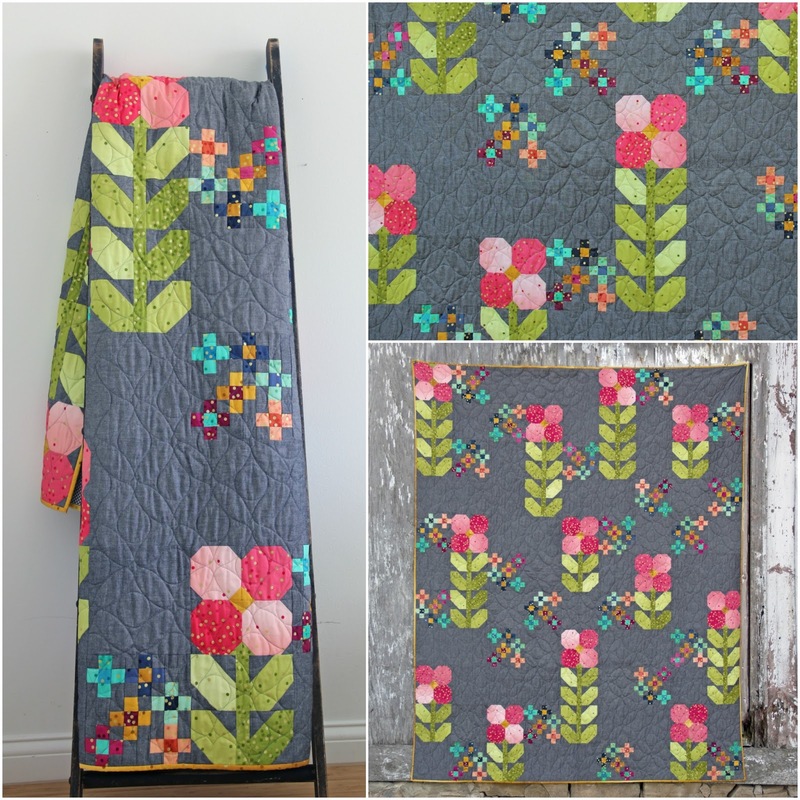 Whatever the case this is a beautiful quilt and probably one of my most favorite-est-ess quilt ever that I've designed. YUP I love it that much. 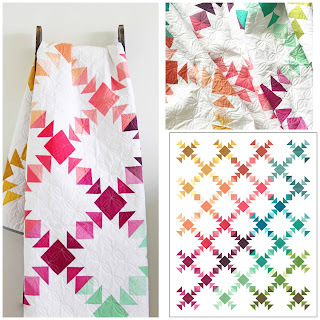 We love how these ombre fabrics work so well with other designer's patterns as well! Check out our Instagram to see how everyone is using these fabrics!!! 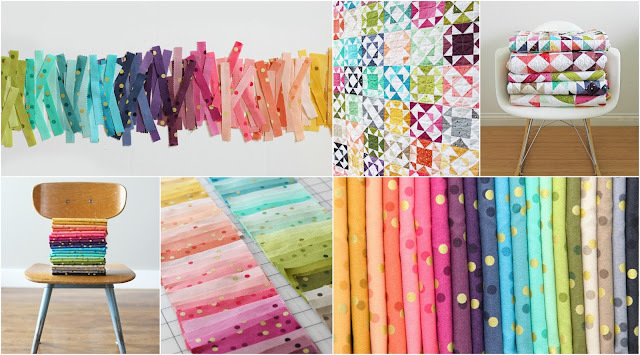 We promise we will continue to support these Ombre fabrics and continue to make fun new things with it! 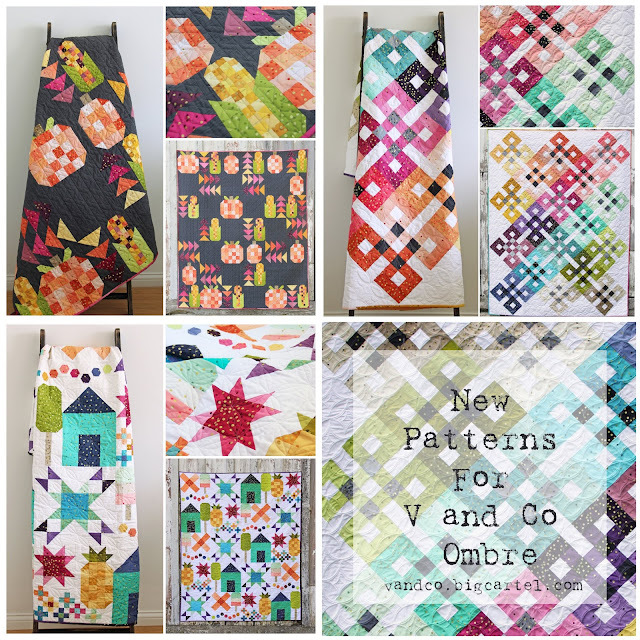 Remember all these patterns can be used with the Original V and Co ombre fabric as well! 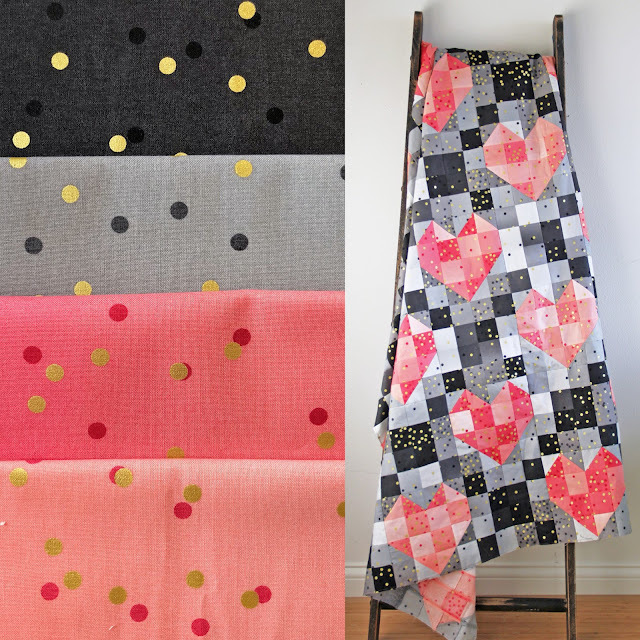 (the ones without the gold dots) and ahem, for any future ombre fabric designs we come up with as well! Well that's it for now! Thanks and let us know which one is your favorite!! If you haven't already heard. OMBRE CONFETTI METALLIC HAS HIT QUILT STORES! 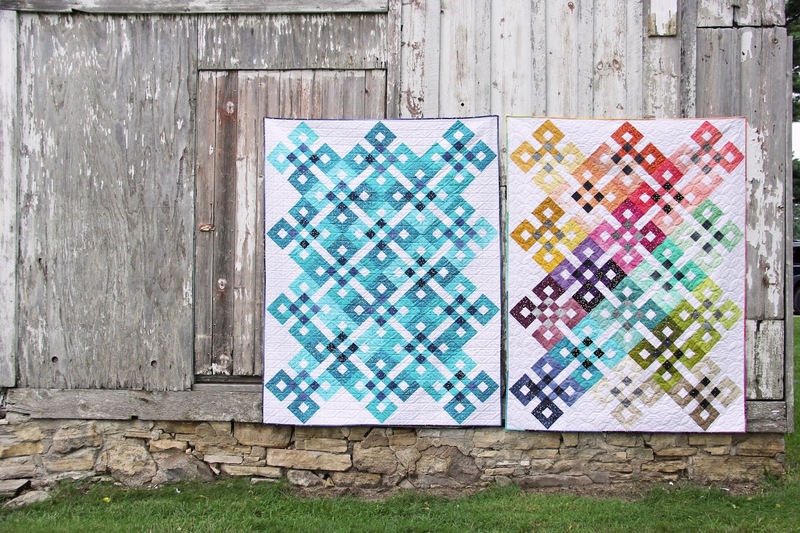 We're also super excited to introduce TWO NEW PATTERNS! Both new patterns are collaborations with Tiffany of Needle in a Hayes Stack and you can find both of them in our shop under PDF patterns. Abacus finishes at 60" x 69" and uses a V and Co ombre confetti fat quarter bundle to make. While we are currently out of stock of these (because you guys went nuts before we could even announce it here on the blog!) but no fear...Starting February 27th we will be doing pre-orders for this bundle and all other OMBRE FABRIC BUNDLES and they will start to ship again in late April early May! 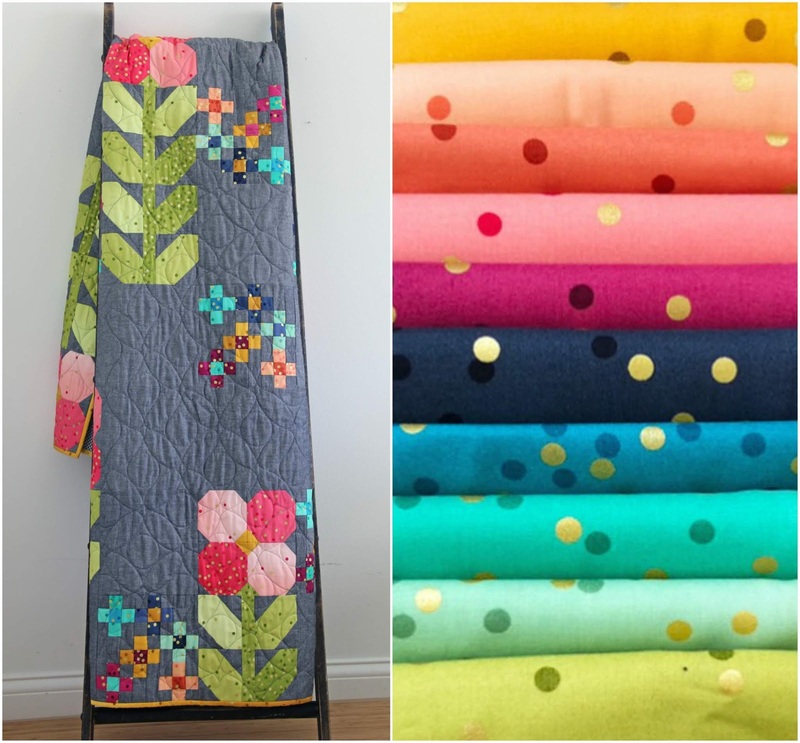 BUT if you can go to your local quilt store or online store and check out if they still have some in stock, I know quite a few stores sold out, but they have re-ordered (with the same second shipping date... We seriously didn't see this coming!) BUT there are quite a few other stores that still have some in stock! so RUN! if you'd like to see a list of stores that have some please visit my instagram account @VChristenson on the post that says "do you stock V and Co ombre?" you will see quite a few stores that do! 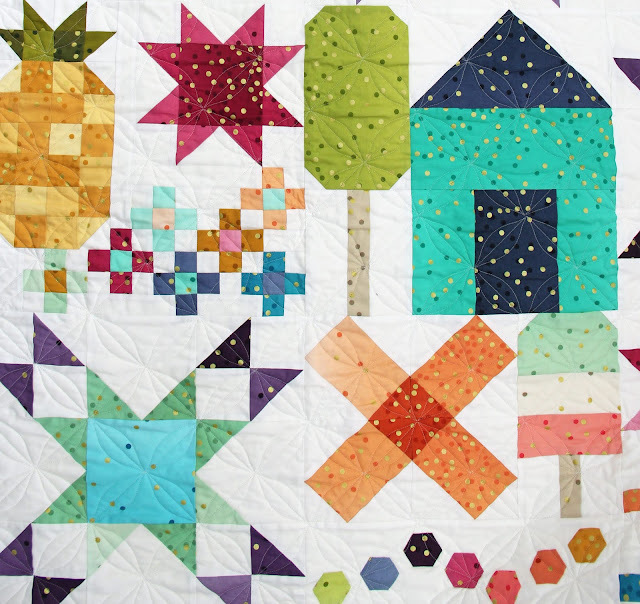 And there are even quilt stores in Austrailia, Canada, and Europe! 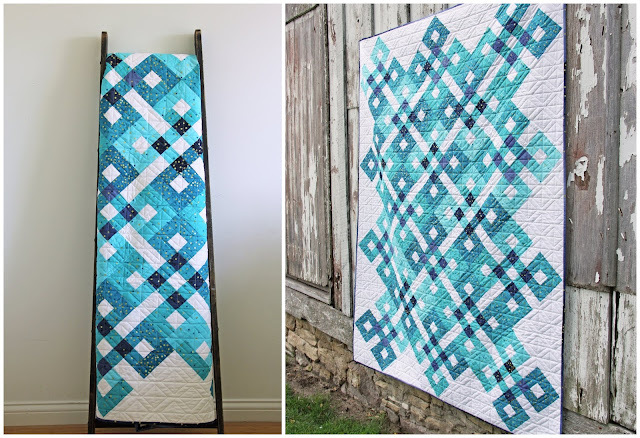 Second pattern we have for sale is Ombre Lattice! This lady finishes at 68" by 85" and uses a V and Co ombre confetti Jelly roll. We also include instruction for yardage as we know that once the jelly rolls run out there aren't any to be had! 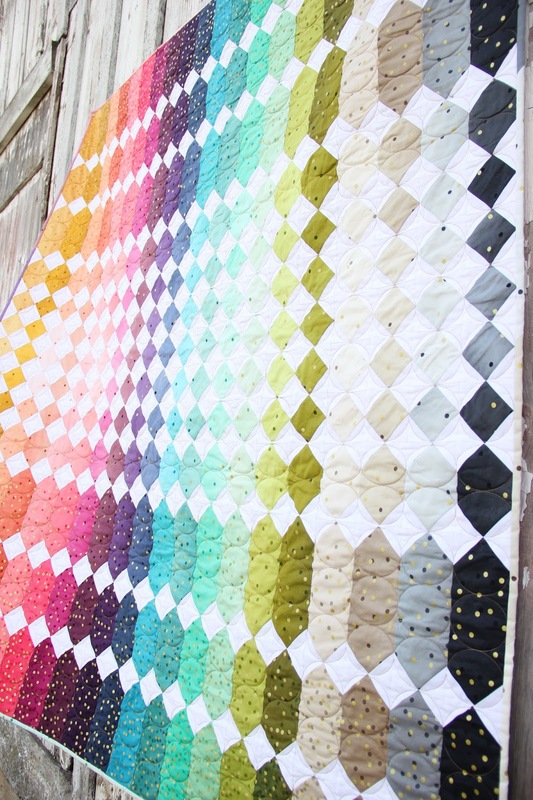 BUT no worries we made sure you can still make this quilt with yardage! 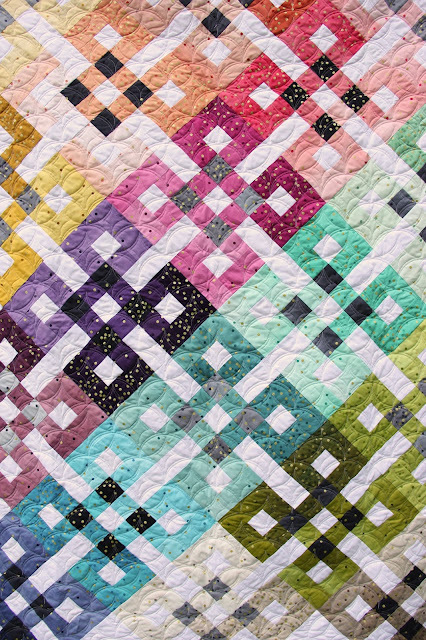 We will be doing pre-sales of jelly rolls for this pattern on February 27th as well! 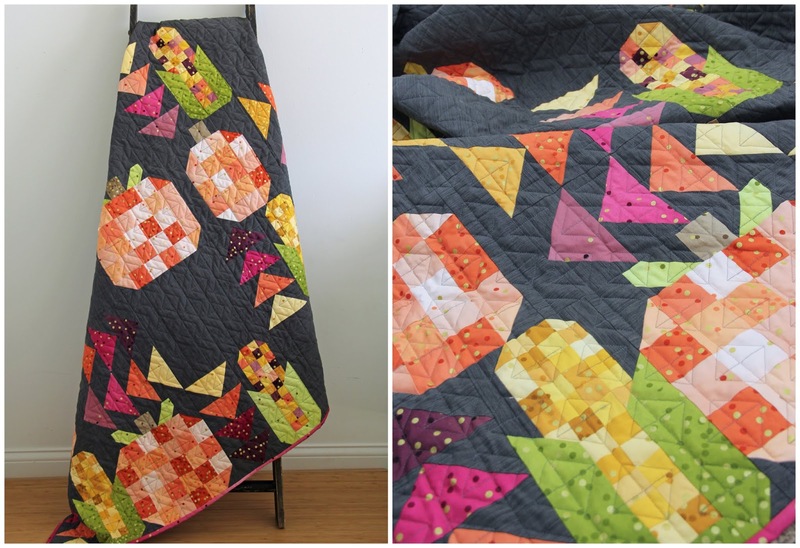 Thank you for your lovely response to this fabric! we are so very excited to keep making more patterns to support the growing love of our Ombre Fabric!!!! 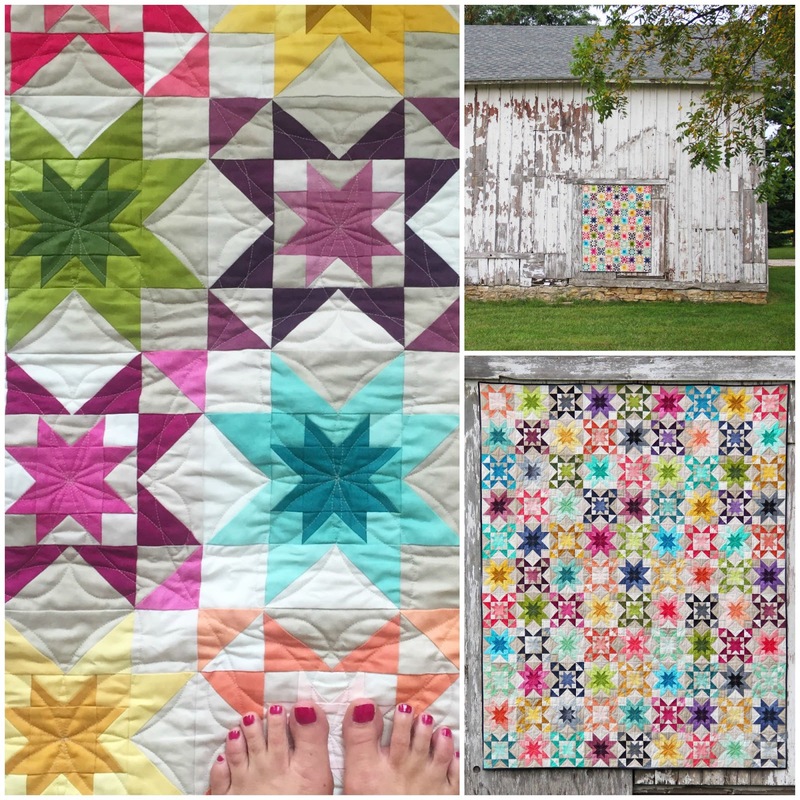 Check us out at QUILT CON! We'll be there in Pasadena!!! !